A trip from Marrakesh to the High Atlas and the Sahara. Please note that the button will always bring you back to this page; if you want to stay on the "all images at once" pages, you should use the back button of your browser to return to the index2 page. This is one of 5 holidays offered by Explore Worldwide in Morocco (out of a total of over 300 holidays worldwide.) 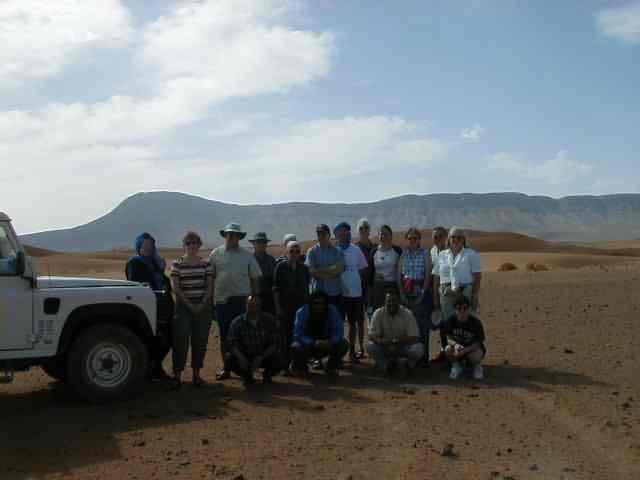 They specialise in trips with small groups to remote places. You can get full details on www.exploreworldwide.com or by phoning +44 1 252 760 000. (Please mention morocco4u.co.uk if you do) . 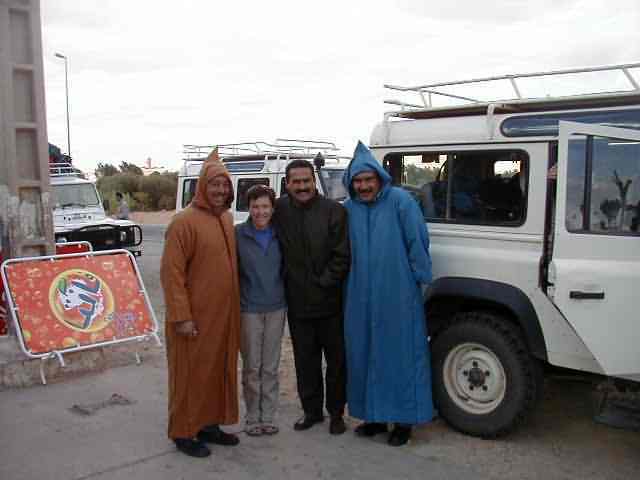 The trip was organised by Explore Worldwide who provided the excellent tour leader (Katie) and the three 4x4 drivers (Jemal, Hassan and Abdul). The whole trip ran very smoothly with only one very minor hitch due to circumstances outside our control. Katie was tireless in her concern for the members of the group, answered (or found the answers) to all of our many questions, and made sure everything ran like clockwork. The 3 drivers were highly skilled in coping with all the different difficult conditions, ranging from deep loose sand in the Sahara to steep hairpins on mountain dirt roads, and also managed to be very tolerant about our fractured French when talking with them. Hassan, Katie, Jemal, and Abdul, who between them ensured the very smooth running of the trip. Thank you! Groups obviously vary quite a bit - ours was good-humoured and chatty, and we all had a good time. You may be puzzled why there are so few people in the pictures. The reason is that Morocco is an Islamic country, and many people, particularly in the country areas, consider it offensive to their religion to be photographed. The people who appear in foreground shots in our pictures were all asked before the picture was taken whether it was alright to take a picture of them.